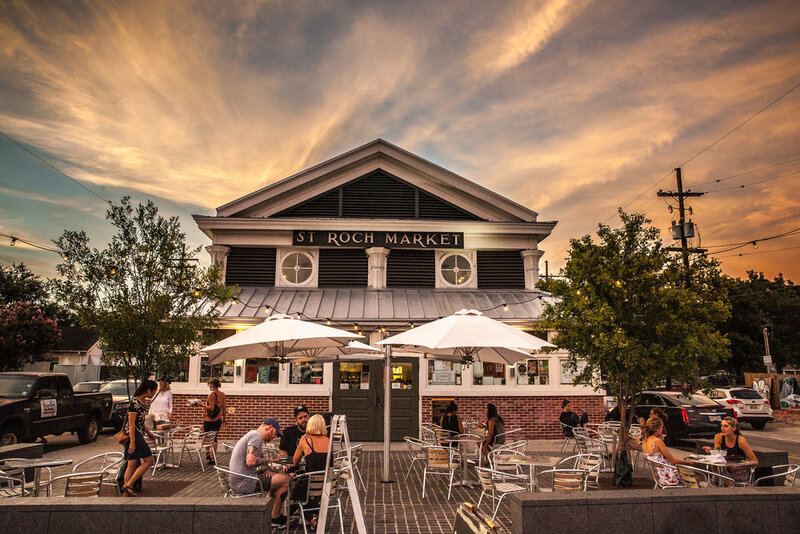 St. Roch Market is a chef-centric food hall featuring a thoughtfully-curated mix of local food and beverage talent. We are a destination for the culinarily curious to explore a variety of new cuisines—11 exciting dining options all centered around our award-winning craft cocktail bar, The Mayhaw. FOOD & DRINKS - We’ve curated a mix of the best local chefs and bartenders you’ve not heard of yet and empowered them to tell you their stories through their creations. FLEXIBILITY - We offer all-day dining, counter-side service, and a variety of seating options that allow you to dine, grab a drink, work, or just hang out. FRIENDLINESS - We focus on hospitality and consider it a gift to be able to serve you. Tag us in your photos to be featured!